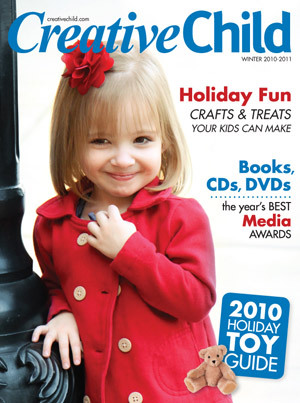 Creative Child Magazine is a national monthly parenting magazine that expands the definition of creativity by providing originality and spontaneity to parents seeking resources to nurture their child's creativity. Each child should discover what 'creativity' means to them. Studies have shown that children who are given this opportunity to be creative often will exhibit a greater ability to learn in other subjects such as math, reading and writing. Children whose creativity is nurtured at a young age are also often found to have more confidence as they mature and develop through their adolescent years. We hope you'll enjoy Creative Child Magazine. We believe it is essential and the most complete parenting publication for raising well-balanced children.